Following on from our latest communication about the Bridge Joints on the M3 Lagan Bridge we have received an update from Roads Service. The update includes clarification of the material used on the joints, description of part of the joints and news of further testing on these components to ensure, that there is a uniform skid resistance over the entirety of each bridge joint. Our last article received some rightfully negative comments from riders and their thoughts on the recent application of a skid resistance treatment to all the joints on the M3 bridge. 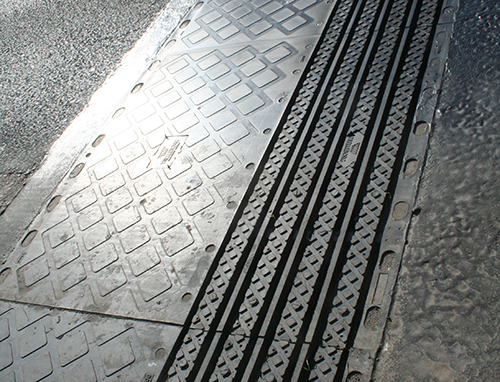 Roads Service has clarified that the asphaltic material on either side of the proprietary mechanical joint which is, an Asphaltic Plug Joint (APJ), is identical to those used on bridges throughout the UK and Ireland, it is not overbanding. However we replied that riders see the material and have only overbanding to reference to, which is smooth, shiney and slippy. 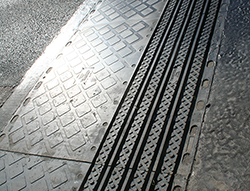 Roads Service has also informed us that their contractor has already begun to trial the application of the new surface treatment to the APJ’s in an attempt to ensure a uniform skid resistance over the entirety of each bridge joint. Both Roads Service and the contractor are continuing to monitor the joints regularly and touch up the surface treatment as required. This will ensure the treatment in place performs as intended. 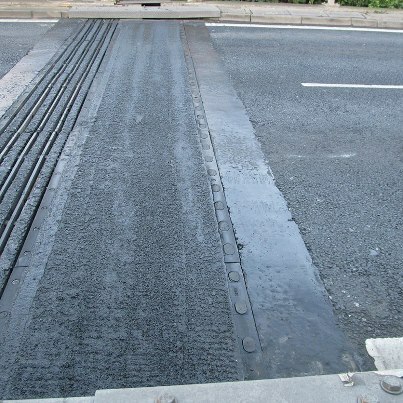 We would agree with Roads Service when they say that the new surface treatment on the joint modules has made a dramatic improvement to the skid resistance over the M3 joints in wet conditions. 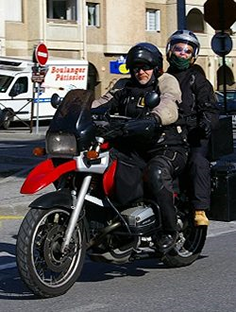 However as we have travelled over the treated joints and riders have commented, it only takes a small change in the road surface,that makes that change still worthy of a “trouser tightening moment” when travelling over the joints, its just that small moment in time that is still of concern. As we have said previously Roads Service have recognised the serious of the issue and made all attempts to solve this. Perhaps now we have got a grip we are heading to the full resolving of this potential deadly problem to improve the M3 joints for all road users. We appreciate the patience and professional manner of the personnel to date from Roads Service, it has been a long haul.